Did you already know that NANOSENSORS offers four different kinds of AFM probes especially designed for use in UHV applications? 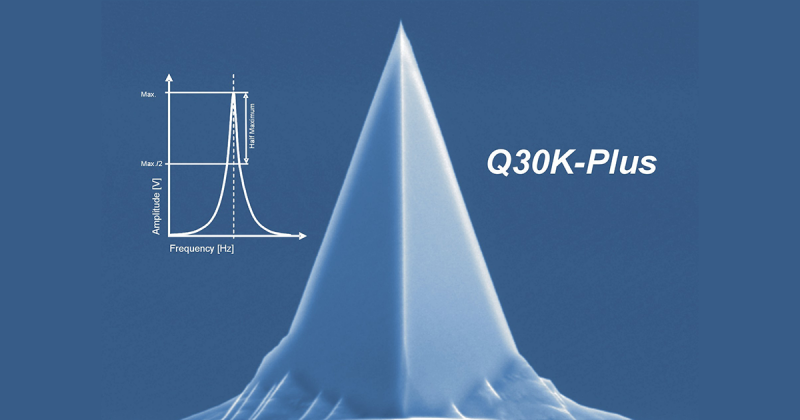 For high sensitivity and a good signal to noise ratio these probes are featuring a Q-factor of over 30,000 (up to 50,000) under UHV conditions and a high reflectivity (even at wavelength of over 800nm). Christoph Richter from NANOSENSORS™ R&D department is talking in this screencast about his latest development: AFM Cantilevers for Scanning Electrochemical Microscopy. These are the very first batch fabricated silicon probes for combined Atomic Force Microscopy (AFM) and Scanning Electrochemical Microscopy (SECM). They are made to perform voltammetric or corrosion studies in liquids with an outstanding lateral resolution and a high electromical-sensitivity. Based on the well known PointProbe Plus AFM tip, the worlds most established cantilever probe for topography measurements, our Electrochemical probes are featuring its typical support chip and cantilever dimensions. By adding and structuring different functional layers we created a tool for electrochemical studies which still keeps the excellent lateral and vertical resolution of its origin with a tip height of 10-15µm and a radius of curvature of better than 40nm. The exposed area of the conical Platinum electrode on the very end of the tip is less than 2µm². Due to the smart layout of the conductive line and the almost pin hole free silicon nitride isolation layer, the probe offers low leakage currents and a high long term stability.